Creating a niche of Cable Organizers such as Vertical Cable Organizers, Horizontal Cable Organizers, High Density Vertical Cable Organizers, Ladder Runway Kit Cable Organizers, High Density Cable Organizers and Horizontal Cable Organizer at its best, with utmost quality. Horizontal Cable Manager Specially designed to meet the horizontal cable management challenges of low, medium and high density application. Channel type cable organizer manufactured out of Rigid PVC with punched side slots for cable entry / exit fixed on steel punched back panel and Loop type will have ABS Loops fixed on steel sheet punched back panel. Standard Configuration will be 1RU and 2RU with cover on Front or Front Back and Back panel for mounting on rack. Loop type cable organiser will have ABS 4no. Loops for cable Management. 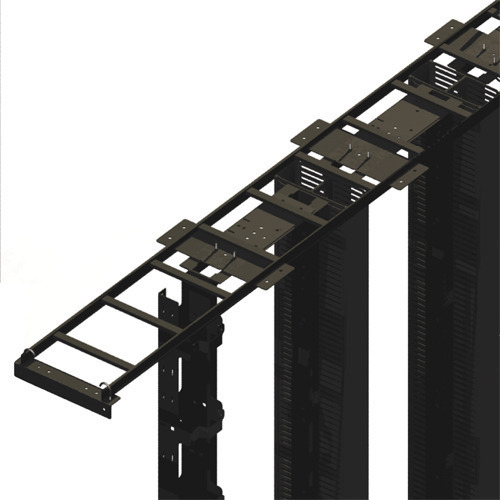 Vertical Cable Manager specially designed to meet the price challenges of low and medium density cable management where in remain rack space will used for other equipment mounting. Cable organizer frame manufactured out of Rigid PVC with punched side slots for cable entry/exit. Standard configuration will be 4 inch, and 6 inch with cover on front. Front Back and Bracket for mounting on rack. 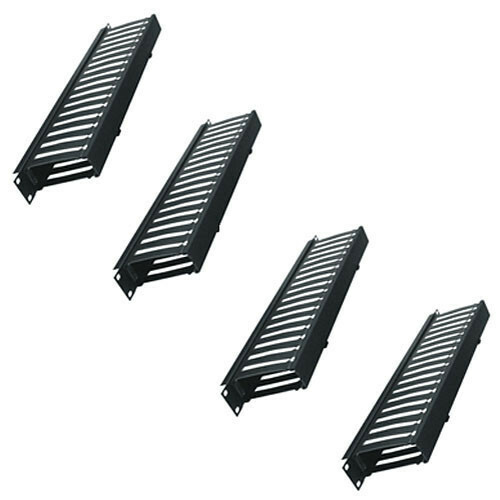 We hold expertise in offering the wide gamut of Vertical Cable Organizer in the industry. The offered products are designed out of Rigid PVC with punched side slots for cable entry and exit. Premium grade material is obtained from established vendors for manufacturing these products. Apart from this, offered products are used in various fields. 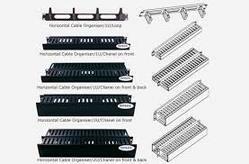 We have trusted names in the industry in offering a wide range of High Density Cable Organizers - horizontal/Vertical. 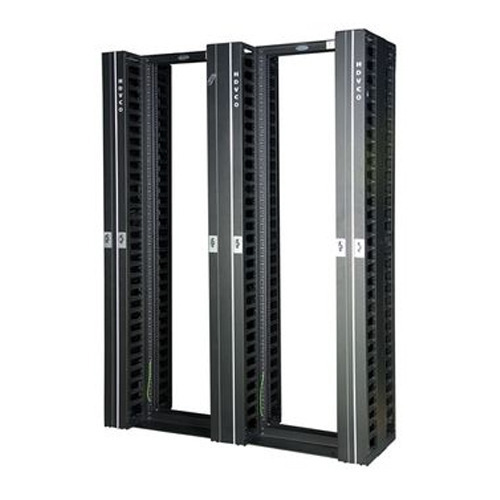 The offered products are specially designed to meet the price challenges of low and medium density cable management wherein remain rack space will be used for another equipment mounting. With their high crack resistance and durability, these products are highly demanded. Offered products can be made available in bulk quantities. 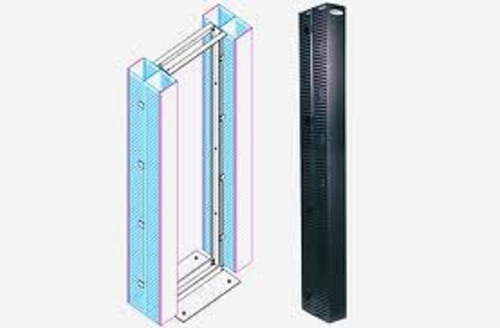 • High Density Vertical Cable Organizer specially designed to meet the price challenges of low and medium density cable management where in remain rack space will used for other equipment mounting. • Front & Back and Bracket for mounting on rack. Available in Front or Front & Back Variants. 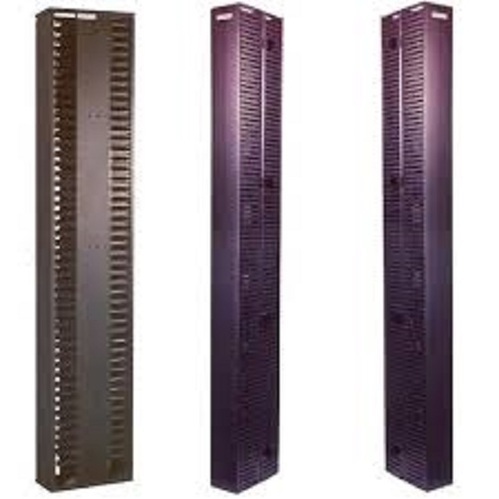 Our organization is well known in the market for providing a broad assortment of High Density Vertical Cable Organizers (HDVCO) to our clients. These products are assembled using optimum quality components. Apart from this, these are specially designed to meet the challenges of high-density cable management due to increase no of Patch panel per Rack and also the introduction of angular jack panel. High Density Cable Organizer, Specially designed to meet the challenges of high density cable management due to increase no of Patch panel per Rack and also introduction of angular jack panel. Cable organizer frame manufactured out of steel sheet punched, formed, welded and powder coated and doors made of aluminum sheet punched formed and powder coated. Standard configuration will be 6 inch, 8 inch, 12 inch and 15 inch with unique double hinge door on front and back associated removable / reusable semi circular finger and spools made of ABS for cable management. Available in Front or Front & Back variants. Being the foremost organization, we rule the market by offering an exclusive collection of Runway Kit Cable Organizer. Cable Runway is the vital part of cable management of horizontal & backbone cable in IT infrastructure, which is completely modular made of special profile steel tube with high strength to minimize deflections with the highest quality. In addition to this, our offered array is appreciated among our clients for its attractive features. • Cable Runway is a vital part of cable management of horizontal & backbone cable in IT infrastructure, which is completely modular made o special profile steel tube with high strength and low weight to minimize deflections with the highest quality. • Standard Runway available in 12, 18 and 24-inch configuration to handle the different volume of cable, a complete range of accessories to fix the Runway above the rack. On the Rack or Below the ceiling and complete management. Horizontal Cable Organizers specially designed to meet the horizontal cable management challenges of low, medium and high density application. • Channel type cable organizer manufactured out of Rigid PVC with punched side slots for cable entry / exit fixed on steel punched back panel and Loop type will have ABS Loops fixed on steel sheet punched back panel. • Standard Configuration will be 1RU and 2RU with cover on Front or Front & Back and Back panel for mounting on rack. Loop type cable organiser will have ABS 4no. Loops for cable Management.